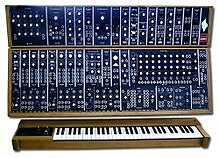 A synthesizer or synthesiser (often abbreviated to synth) is an electronic musical instrument that generates audio signals that may be converted to sound. 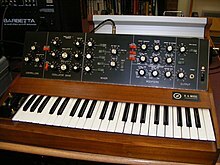 Synthesizers may imitate traditional musical instruments such as piano, flute, vocals, or natural sounds such as ocean waves; or generate novel electronic timbres. They are often played with a musical keyboard, but they can be controlled via a variety of other devices, including music sequencers, instrument controllers, fingerboards, guitar synthesizers, wind controllers, and electronic drums. 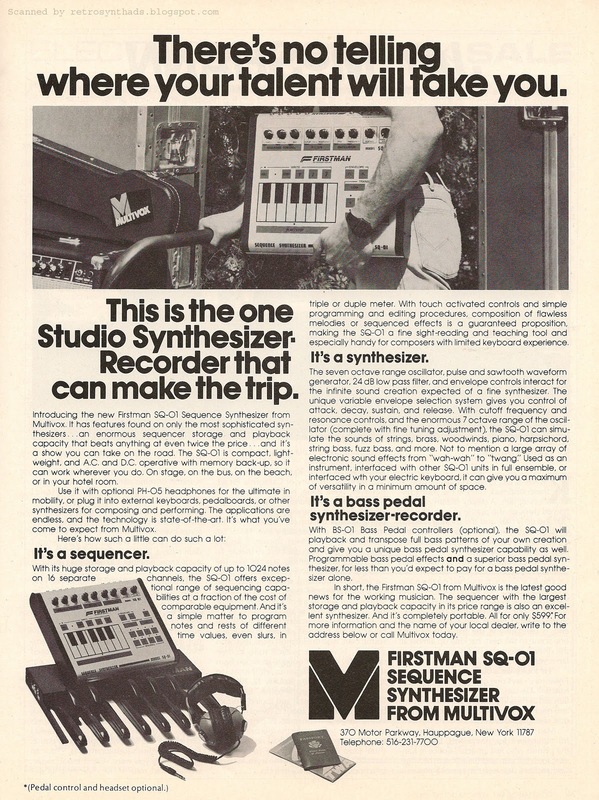 Synthesizers without built-in controllers are often called sound modules, and are controlled via USB, MIDI or CV/gate using a controller device, often a MIDI keyboard or other controller.